Our guide to Washington will help you find the best green spots in Washington District of Columbia. There are tons of great green spots in the city of Washington, our city guide will help you find the best green spots. You may have a hard time deciding what to do in Washington, but we make your decision easy. 1414 9th St NW, (202) 232-4585 - Vegetate is a green restaurant located in Washington DC. 1629 Connecticut Ave NW, (202) 387-8261 - Chipotle Mexican Grill is a green restaurant located in Washington DC. 1700 K St NW, (202) 974-6545 - Restaurant K is a green restaurant located in Washington DC. 1819 Columbia Rd NW, (202) 797-1819 - Cashion's Eat Place is a green restaurant located in Washington DC. 1837 m St NW, (202) 466-4104 - Chipotle Mexican Grill is a green restaurant located in Washington DC. 2002 P St NW, (202) 296-2021 - Johnny's Half Shell is a green restaurant located in Washington DC. 2132 Florida Ave NW, (202) 462-5143 - Restaurant Nora is a green restaurant located in Washington DC. 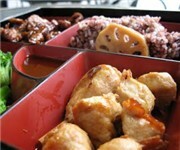 2213 M St NW, (202) 797-4860 - Asia Nora is a green restaurant located in Washington DC. 2600 Connecticut Ave NW, (202) 299-9111 - Chipotle Mexican Grill is a green restaurant located in Washington DC. 2928 Georgia Ave NW, (202) 232-1700 - Everlasting Life Cafe is a green restaurant located in Washington DC. 3255 m St NW, (202) 333-8377 - Chipotle Mexican Grill is a green restaurant located in Washington DC. 4301 Wisconsin Ave NW, (202) 237-0602 - Chipotle Mexican Grill is a green restaurant located in Washington DC. 701 f St NE, (202) 347-4701 - Chipotle Mexican Grill is a green restaurant located in Washington DC. 102 R St NW, (630) 208-9321 - Bloomingdale Farmers Market is a green farmers market located in Washington DC. 10th St NE & Otis St NE, (202) 526-4848 - Historic Brookland Farmers Market is a green farmers market located in Washington DC. 1200 New Jersey Ave NW, (202) 366-4000 - USDOT Farmers Market is a green farmers market located in Washington DC. 1309 5th St NE, (202) 234-0559 - DC Farmers Market is a green farmers market located in Washington DC. 1310 Southern Ave SE, (202) 841-0394 - Ward 8 Farmers Market is a green farmers market located in Washington DC. 14th St NW & U St NW, (202) 362-8889 - 14th and U Farmers Market is a green farmers market located in Washington DC. 17th St NW & Lamont St NW, (202) 234-0559 - Mount Pleasant Farmers Market is a green farmers market located in Washington DC. 624 H St NE, (202) 362-8889 - H Street Freshfarm Market is a green farmers market located in Washington DC. Alabama Ave SE & Stanton Ter SE, (202) 543-7470 - Open Air Farmers Market is a green farmers market located in Washington DC. Alton Pl NW & 36th St NW, (202) 234-0559 - New Morning Farmers Market is a green farmers market located in Washington DC. Benning Rd NE & Oklahoma Ave NE, (202) 543-7470 - Open Air Farmers Market is a green farmers market located in Washington DC. Columbia Rd NW & 18th St NW, (202) 234-0559 - Adams Morgan Farmers Market is a green farmers market located in Washington DC. H St NE Between 6 & 7, (202) 399-4722 - H Street Farmers Market is a green farmers market located in Washington DC. Massachusetts Ave NW & Q St NW, (202) 546-1491 - Dupont Circle Freshfarm Market is a green farmers market located in Washington DC. O St NW & 26th St NW, (202) 282-2198 - Georgetown Market in Rose Park is a green farmers market located in Washington DC. Woodley Rd NW & Cathedral Ave NW, (301) 530-3725 - Twin Springs Fruit Farm is a green farmers market located in Washington DC. 1350 Connecticut Ave NW, (202) 755-0400 - Lawsons Gourmet Provisions is a green food / grocery store located in Washington DC. 1825 Columbia Rd NW, (202) 462-5150 - Yes! Organic Market is a green food / grocery store located in Washington DC. 2123 14th St NW, (202) 232-6603 - Yes! Organic Market is a green food / grocery store located in Washington DC. 3425 Connecticut Ave NW, (202) 363-1559 - Yes Organic Market is a green food / grocery store located in Washington DC. 3425 Connecticut Ave NW, (202) 363-1559 - Yes! Organic Market is a green food / grocery store located in Washington DC. 3809 12th St NE, (202) 832-7715 - Yes Organic Four is a green food / grocery store located in Washington DC. 3923 S Capitol St SW, (202) 562-0041 - Secrets of Nature's Health Foods is a green food / grocery store located in Washington DC. 4100 Georgia Ave NW, (202) 291-5790 - Yes! Organic Market is a green food / grocery store located in Washington DC. 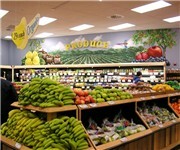 5608 Broad Br Rd NW, (202) 249-8551 - Broad Branch Market is a green food / grocery store located in Washington DC. 658 Pennsylvania Ave SE, (202) 546-9850 - Yes Organic Market is a green food / grocery store located in Washington DC. 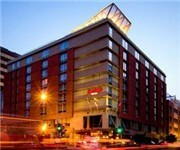 1221 22nd St NW, (202) 872-1500 - Washington Marriott is a green hotel / motel / resort located in Washington DC. 16th St NE & 16th Pl NE - The Hay-Adams Hotel is a green hotel / motel / resort located in Washington DC. 1408 14th St NW, (202) 462-2502 - Sun Cleaners is a green laundromat / dry cleaner located in Washington DC. 1856 Columbia Rd NW, (202) 483-3198 - DC Dry Cleaners is a green laundromat / dry cleaner located in Washington DC. 307 5th St NE, (202) 543-9033 - Metro Cleaners is a green laundromat / dry cleaner located in Washington DC. 1025 Vermont Ave NW, (202) 347-6783 - Where we believe that the quality of your life begins with the quality of the food that sustains it. 1990 K St NW, (202) 223-9663 - Juice Zone is a green juice / smoothy store located in Washington DC. There are plenty more green spots in Washington. See all green spots in Washington District of Columbia.